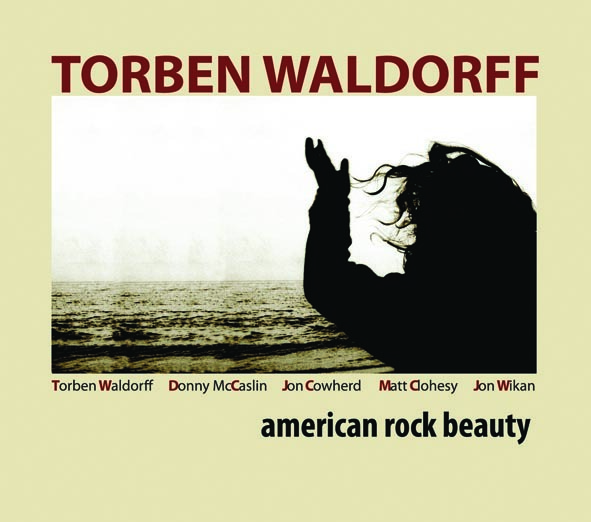 Danish composer/guitarist Torben Waldorff has crafted a plainly titled but memorable album in American Rock Beauty. Waldorff is an articulate and lyrical musician, which counts for a lot on an instrument that is prone to be used with effects that mask its organic beauty. American Rock Beauty is a sophisticated blend of American and European streams of music, from rollicking folk dance to the swing and swagger of jazz melded with burnished impressionism. Throughout, Waldorff shows himself to be a virtuoso guitarist with a great sensitivity for image, emotion and expression, all of which take precedence over his technique. His writing eschews pomp and circumstance, veering toward simplicity and melody over musical devices. Despite the fact that there are many different styles of playing on the album, from country and jazz, there is a quiet flow from one to the other that causes barely a ripple in this ocean of music. The menace of "Shark," for instance, is couched in a stuttering melody over a few choice chords that define the far horizons of its harmonic changes. Soon after the opening bars the music begins to ebb and flow with a strong, catchy rhythm. "Shining Through" has a folksy swagger that mimics the canter of horse and carriage on a country road against a sweeping landscape. "Waves" and "Late," both rhythmically pulsating pieces, feature some fine playing by the stellar cast of musicians and the latter has a memorable solo by saxophonist Donny McCaslin, which curves the air around the piece. "Song-ella" has a lilting Brazilian flavor and might have been out of place were it not for the smooth lyricism of the musicians who link it by sophistication and stylish ambience to the rest of the music. "American Rock Beauty" has a fine narrative feel and is dappled with slightly crepuscular visuals, mostly through the deep and mystical playing of McCaslin's tenor saxophone that leads into Waldorff's slow and thoughtful solo, exploring the full fret board, especially the lower register. "Lama" and "Scape" fit into the visual pattern that seems to define Waldorff's style of composition on this album. The color of the music is provided not only by the saxophonist. Pianist Jon Cowherd, who has performed memorably on Brian Blade's music, lends an air of distinction. So do bassist Matt Clohesy and the bright drummer Jon Wilkan. Together they embellish the music so that it becomes etched in the memory as a moving tribute and a beckoning soundscape from a musician who ought to be better known than he is today.